If you have not had the pleasure of working with these fine cotton lawns before a scrap bag is a great place to start! You will get to sample a bunch of different prints perfect for small scrappy projects like this small flex frame pouch. To me Liberty lawn with it's soft silky hand and pretty small scale prints are the perfect match for English paper piecing. I opted for teeny tiny 1\2" hexagons to piece the exterior of my pouch. Don't worry if hand sewing is not your thing you can just as easily use a single piece of fabric for the exterior, perhaps a fun cheater print or any type of patchwork block you like. The choice is entirely up to you. fine cotton piecing thread, Aurifil 50wt or something similar. 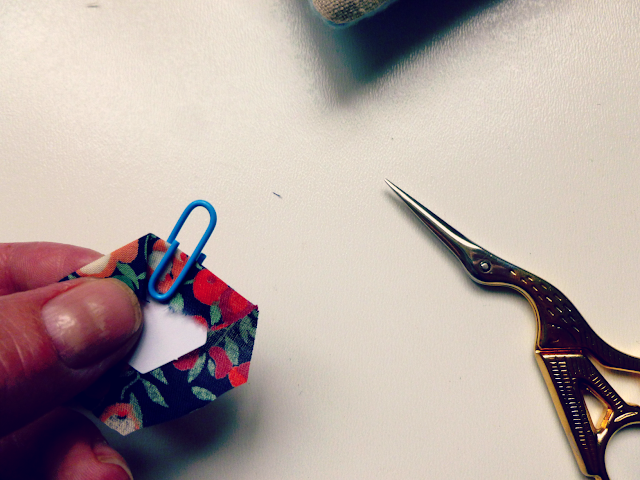 * all seam allowances are 1\4"
* If you do not wish to paper piece the exterior of your pouch you can skip ahead. 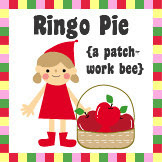 I am sure there are many ways to do English paper piecing but this is how I go about it. First things first, make yourself a nice cuppa, get comfortable on the sofa and put a DVD on. I love this type of hand sewing because rather than being tucked away out of sight in my sewing room I can be part of whatever is going on in the house and still sew! Place the paper template on the wrong side of your fabric. I usually am not too precise in cutting the fabric I roughly cut around the shape making sure I have at least 1\4" seam allowance on all sides. Pick a side that is on grain and fold it over the template, secure with paper clip. Fold over the next corner, making sure you have a nice crisp fold and start baste stitching. Simply fold and stitch from corner to corner. For templates this small I like to baste straight through the paper template to make sure nothing shifts. One down, 54 to go! Once you have all your hexagons basted arrange them in 5 rows of 11 hexagons. Next start sewing the hexagons together with a small whip stitch. This is what it looks like on the back. 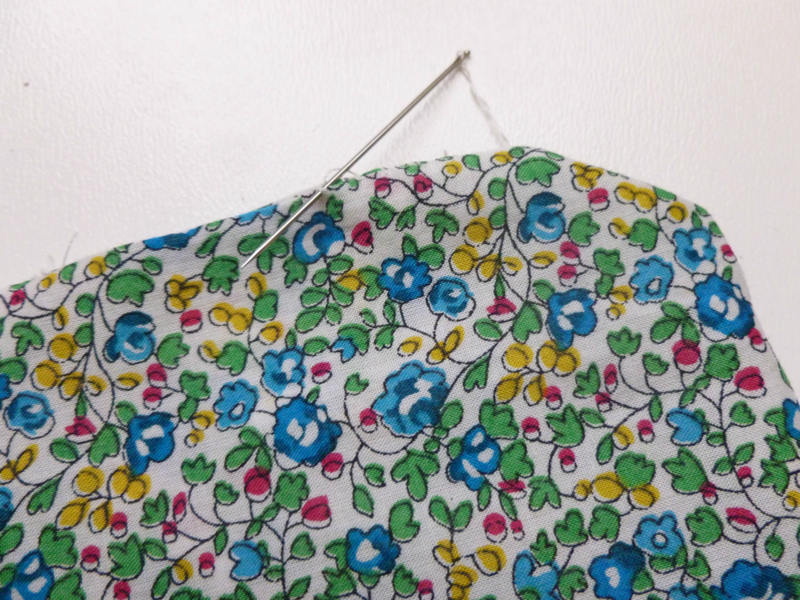 Ideally you would use a thread colour to match your fabrics so that your stitches blend in rather than stand out, but for the tutorial I thought I'd try and show you as best as I could. 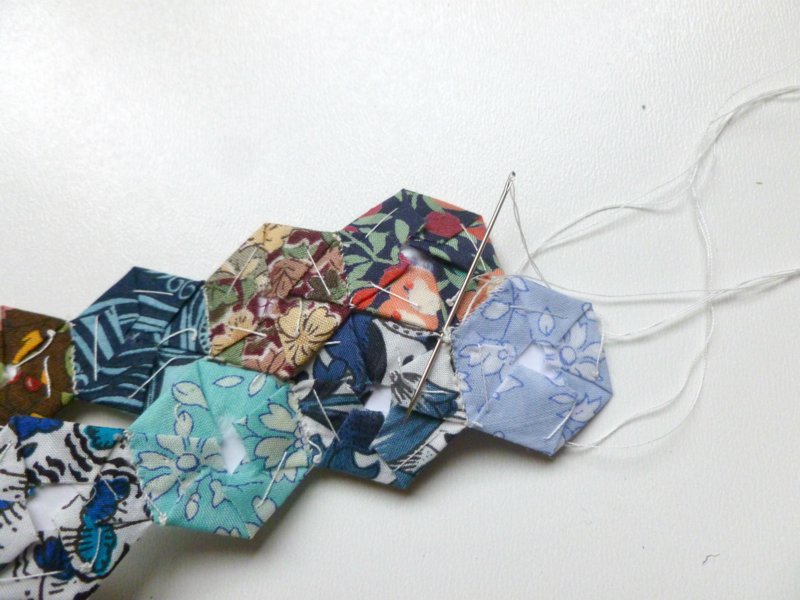 Most commonly hexagons are pieced in the traditional flower shape, but since we are making a rectangle patchwork block, I find it easier to piece in rows. I leave the templates in till the very end, I like that they keep everything neatly in place without me having to worry about it. If however you find the paper templates cumbersome when sewing all the rows together you can take them out earlier of course. until you have a block that looks something like this. Give your block a good press before removing all paper templates. Make sure you got rid off all basting threads first then apply the fusible interfacing. Trim the edges so that you are left with a 3 1\2" x 9" block, cut the large block in half. You now have two 3 1\2" x 4 1\2" blocks. 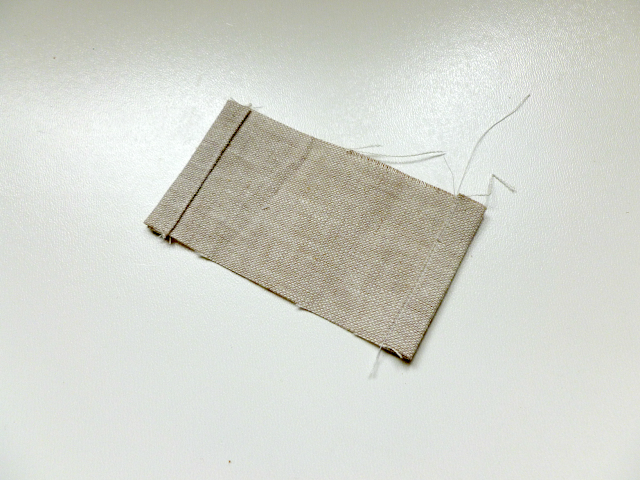 Cut two strips of linen 2" x 5"
Fold the edges over 1\4" towards the wrong side of the fabric and press. 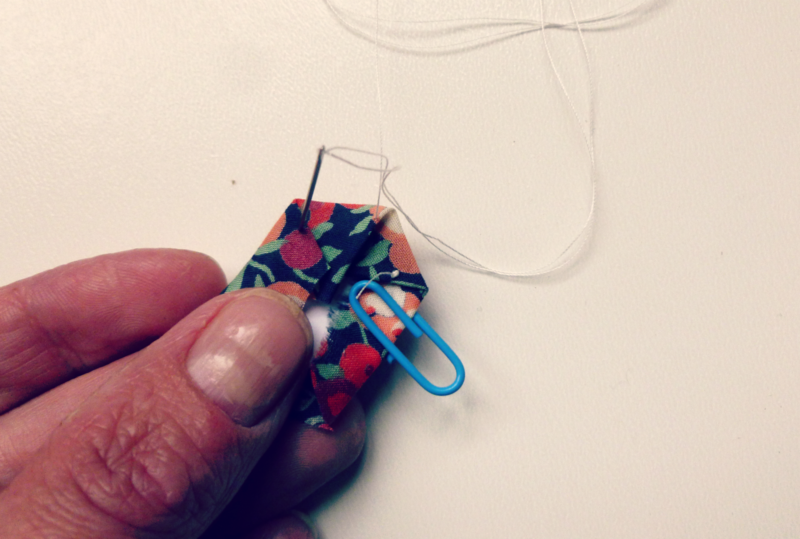 Fold over 1\4" again enclosing the raw edges, press, pin and sew close to the edge. 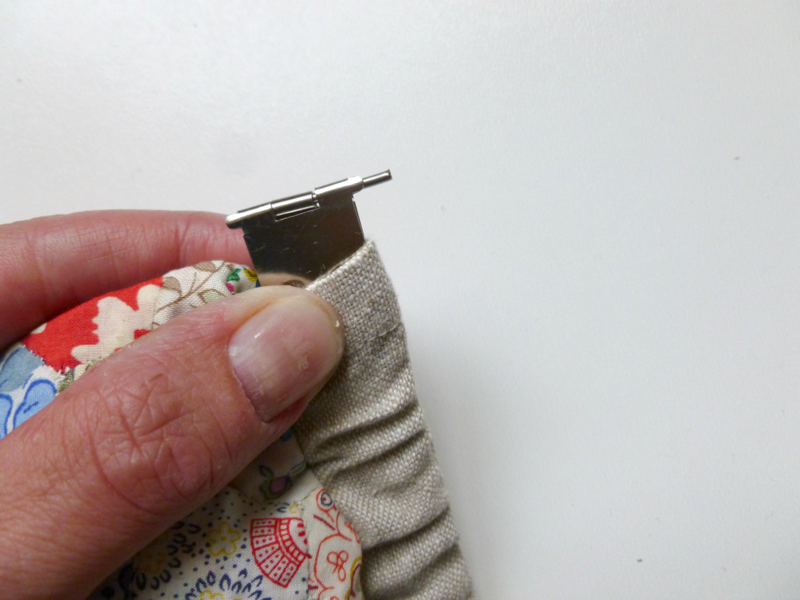 Fold the linen strip in half, place on top of the pouch exterior , pin and sew close to the top edge. Pin the exterior pieces right sides together and sew. Clip corners and turn the pouch right side out. Pin the lining pieces right sides together and sew leaving approximately 1 1\2" - 2" opening at the bottom. Pin lining and exterior right sides together and sew . Turn the pouch right side out through the opening in the lining. Slip stitch the opening closed. Push the lining back inside your pouch and give it a quick press if necessary. Insert both open ends of the flex frame into the linen tube. Just wriggle both ends in at the same time, it is quite a snug fit. Go slowly and carefully, the pointy ends of the frame might want to poke through the fabric. Don't force the frame through as you might rip the fabric! 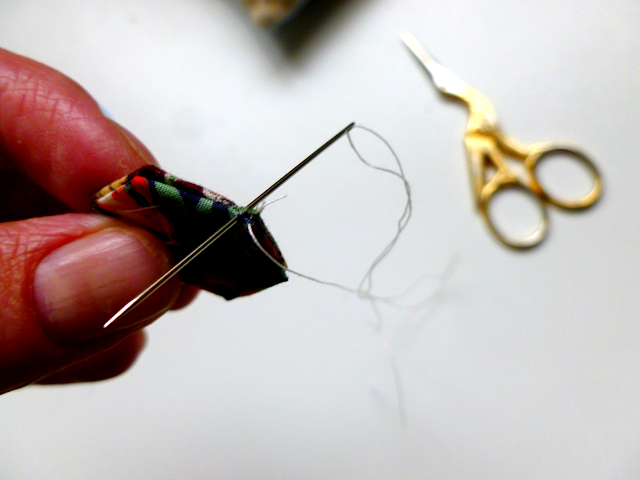 Push the open ends of the flex frame back together, they interlock in the center, and insert the pin. Push the end caps closed with a pair of pliers to make sure the pin does not fall back out. Sit back and admire your cute little flex frame pouch! Or if you are like me you will want to keep popping it open and letting it snap back closed again. 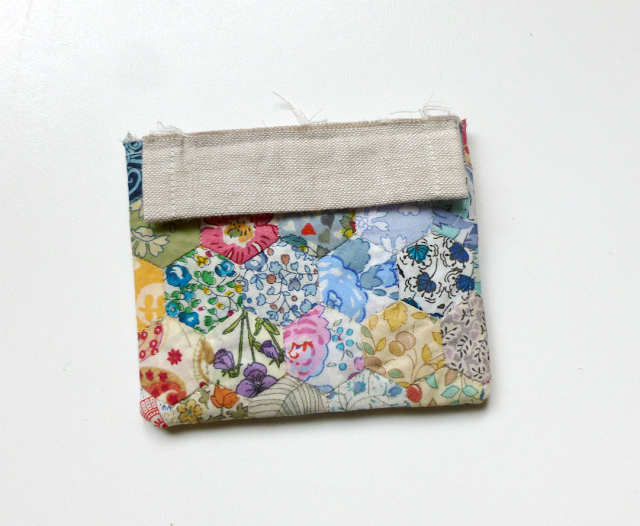 Also don't forget to check out all the lovely projects in the Liberty Scrap Challenge Flickr group! Would you like to take part in the Liberty Scrap Challenge? Just leave me a comment on this post, perhaps you could tell me what you would like to make and I will pass your details on. 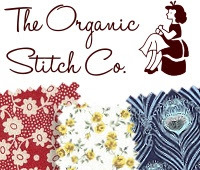 The fabrics used in this tutorial were sponsored by the Organic Stitch Co sponsor of the Liberty Scrap Challenge. That is so darn cute. 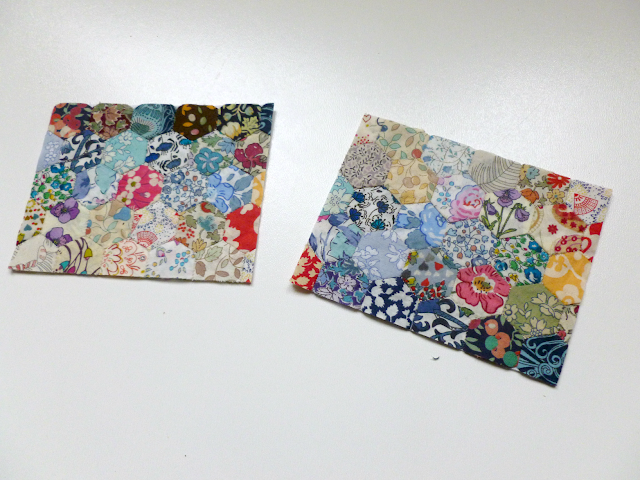 I'm going to have to add to my Liberty scraps now and go buy a flexi frame or three! So sweet Leila! I haven't tried a flex frame yet. I will have to look for one. Sweet project! I need to get my hands on some Liberty! This is adorable. And such a little purse might be just the thing for trying very tiny hexies. I am not a big hexie fan but I do like them small and I absolutely love this! Liberty lawn is beautiful to hand piece with too! leila! this is amazing!!!! I love love all your projects, they're just beautiful and this one is no exception. 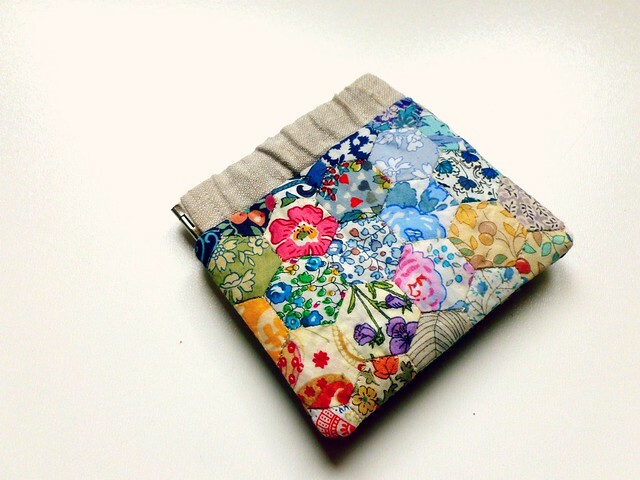 What a great little pouch, it looks beautiful. Amazing what you can do with a few scraps! sometimes I think Kerry is a little bit crazy. Today she's told me she doesn't much like glitter and she's saying here she doesn't much like hexies. I might have to make her a glittery hexagon flex frame pouch!!! I love this so much - it's got everything that makes me happy. Liberty, hexagons and a flexie frame. Perfection. Oh so cute! 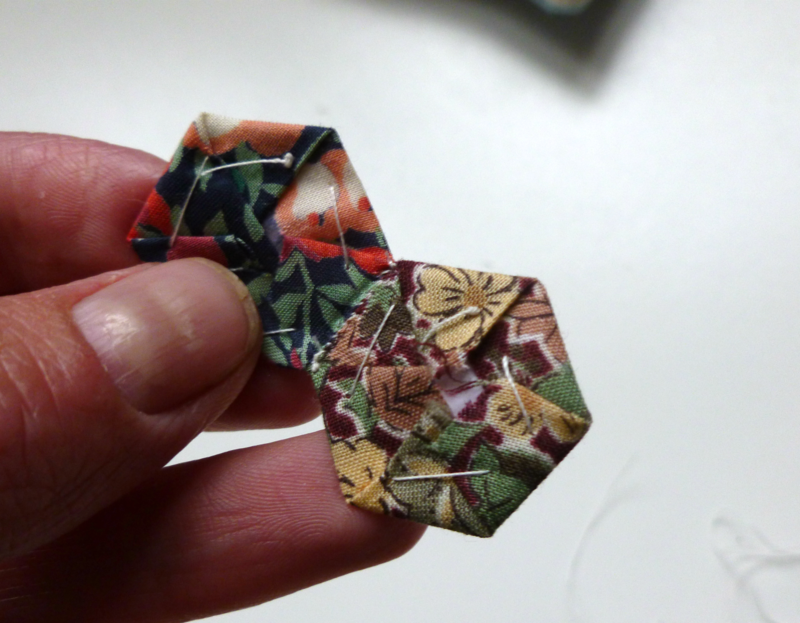 Love the teeny, tiny hexies! I hope Katy makes Kerry that pouch like she said. Great project!!! I'm in the midst of a flex frame myself, so I thank you for the tute to refresh my memory. I'm up next month in the challenge and I'm excited about a little no-sew tute for a change...stay tuned. I'm actually with Kerry on the glitter, it just gets everywhere! But not on the hexies, they are great. And little bits of liberty are great for some small embellishment projects I think. That is a gorgeous pouch! OMG that is amazing! I absolutely love all your teeny weeny hexagons, they're so neat! Mine looked nothing like that when I did tiny ones ;-) Thank you so so much for putting in all the effort, I can't believe how inventive and talented everyone has been who's taken part. Wow that is awesome! Initially I wasn't a fan of Liberty and the price was prohibitive but the more I see these fabics the more I LOVE THEM! 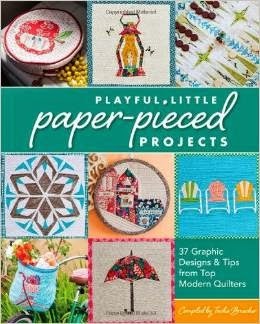 I would love to make something from scraps!! What a great challenge!! Such a sweet little pouch! I have a few flex frames but have yet to make anything with them. Your wee hexies have me very tempted! Thanks so much for sharing the tutorial with us all. 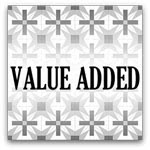 Thanks for sharing your tutorial...I have added to Freebies For Crafters blog. Arranging those hexagons in gradations based on value was just so, so, so perfect. I love this again! Ahh this is just adorable! 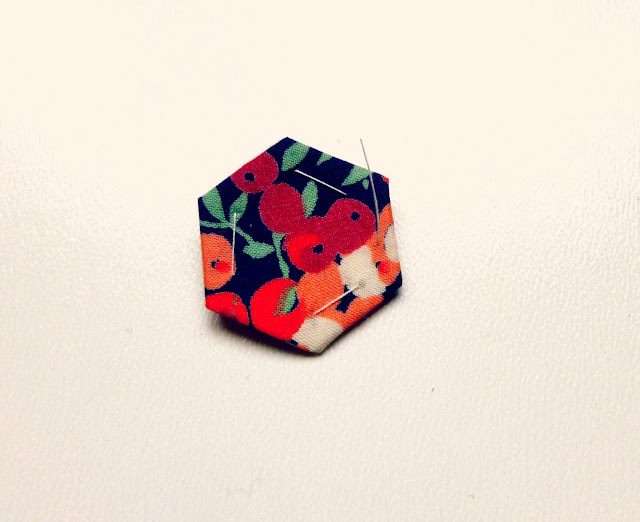 I love the scale of this piece the tiny hexagons and the mix of prints is just brilliant. I'm going to get myself so Liberty scraps. this turned out wonderfully! i've fallen in love with flex frames too, but i only have a couple left in my stash, so now i'm hoarding them! 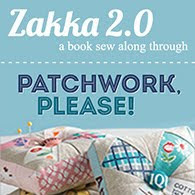 i've done a few that were patchwork, but none with english paper piecing. it's the perfect project - not enough for me to get tired of them, but enough to show off all of the wonderful liberty prints! i don't have any of the newer liberty fabrics in my stash. i recently came across a vintage top made out of liberty that i found in a thrift about 15 years ago. i'd forgotten all about it, but now i need to find the perfect project for it! interestingly, it's a fairly heavy fabric, with a rather coarse weave, much different than the yummy fabrics you've used! i'd love an opportunity to play with liberty scraps (who wouldn't?! ), but i'm not sure what i'd make. i'm thinking that the lightness of the lawn would lend itself wonderfully to detailed paperpiecing... and i've been on a huge pouch kick lately, so that's probably what i'd sew it into! Thanks for a great tutorial! 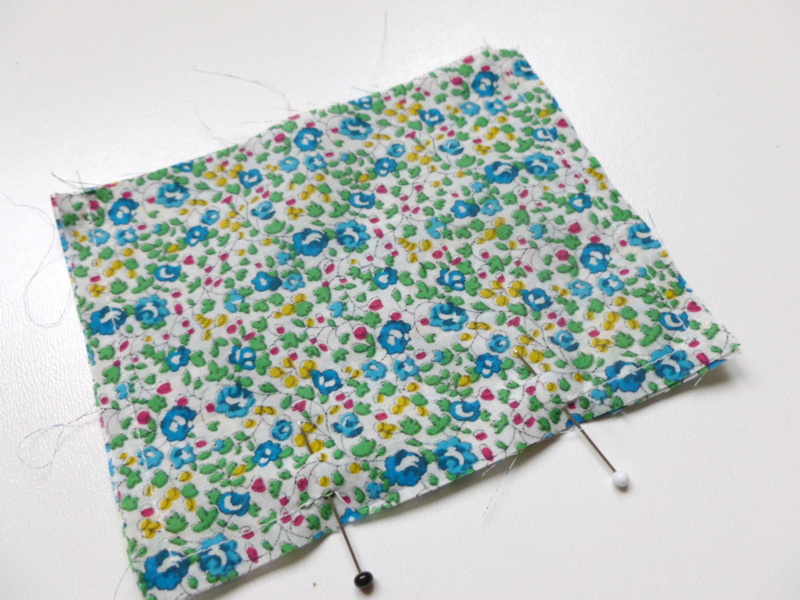 I'm currently hexing with an old cotton sheet which is quite hard on the fingers - I imagine that Liberty fabrics are a dream to hand sew in this way. WOW! THIS IS GORGEOUS! Thanks for the patience to create such a piece of Liberty loveliness! 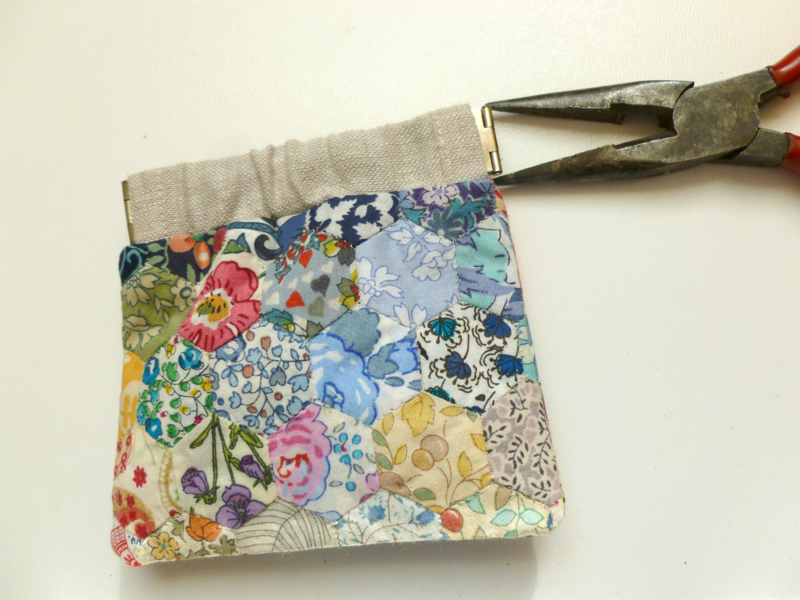 I plan to create this little purse from your tutorial. Thankyou for sharing it with us! That's adorable - I've always wondered how you make things with those flex frames! 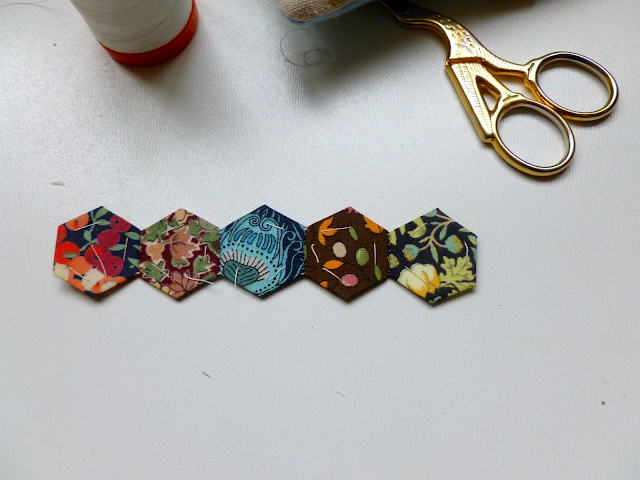 Being addicted to hexagon-making at the moment, this looks lovely. I would love to take part in the Liberty Scrap Challenge - I think I would make an applique on a baby t-shirt/onsie! Great tutorial. Liberty hexes are beautiful on this purse. I just received my first scrap pack of Liberty! I'm so excited after seeing all the beautiful things you ladies are showing off. I would love to play along with these sweet scraps! I have a plan to try my hand at fabric collage in an embroidery hoop. I think it would be so pretty in gorgeous Liberty fabrics! Just stunning. I have just finished a large hexagon craft bag for a friend and now want to make tiny ones for this cute project. Your pouch is adorable. 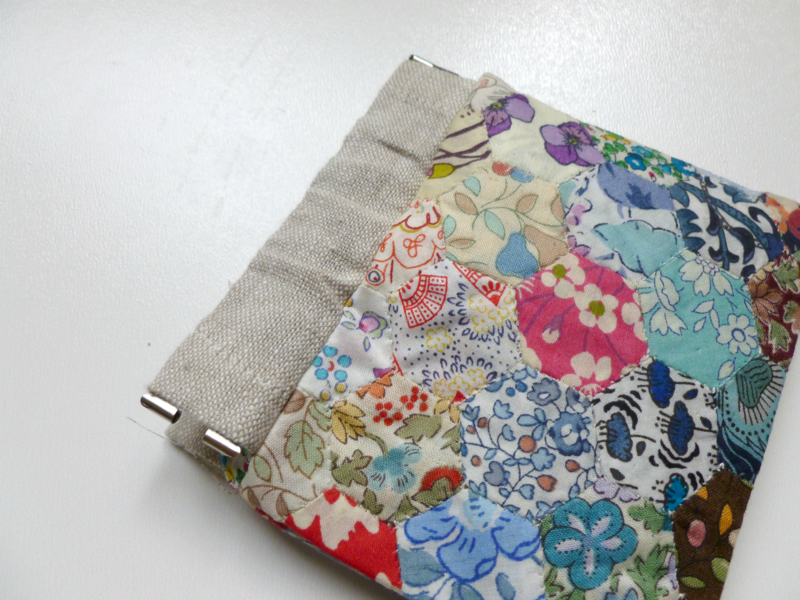 If I had liberty scraps I would make something like it, or maybe the raindrop bag featured on A Cuppa and a Catch Up. Thanks for sharing! I have some Liberty fabric(my absolute favourite fabric) that I haven't used(from over 15 years ago) and I have beem too afraid to use it(I just like looking at it!!! ), but I might be brave and try using it for this project! oops: please excuse my spelling "beem" boo-boo!! Leila, I love your pouch!! 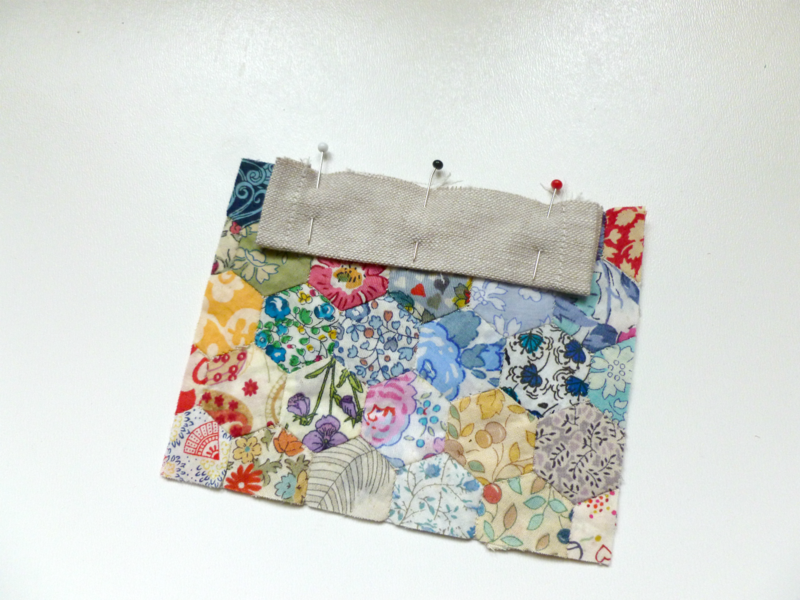 I'm going to make a zipper pouch with a vintage block I just adore. Hello Hello! I'd love to take part in this challenge! We're currently in the BIG RENOVATION and I've been stashing fabrics in colors for each room to begin making things. Who doesn't want something handmade in every room?? I'd love to make a pillow or even guest slippers (once the house is done we'll never have enough!) with the scraps! Thank you for this incredible tutorial! Just finished it as a birthday present for great grandmother. Easy to follow instructions and so much fun to do! I think I'm addicted and many family members will be getting pouches forchristmas! 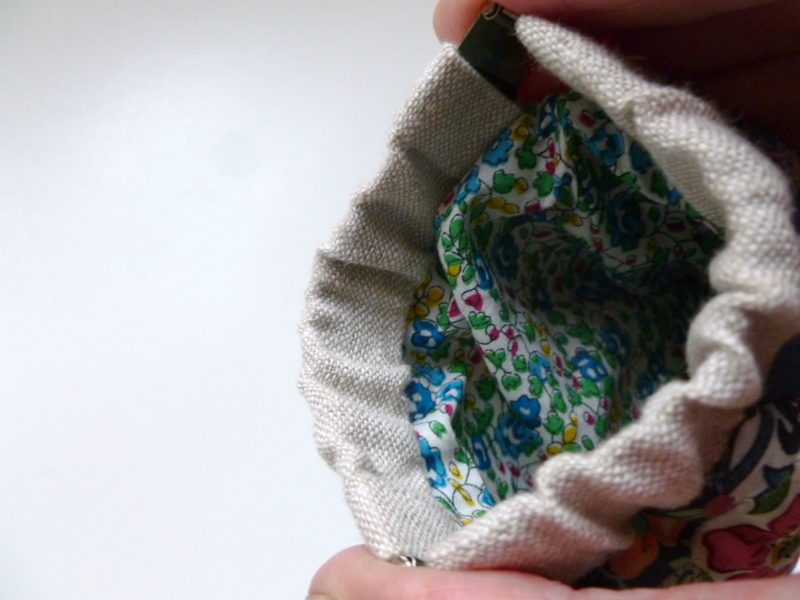 Great tutorial, super cute pouch. But I really love your little pouch, and I will totally try this! Thanks for sharing! wow this is beautiful! 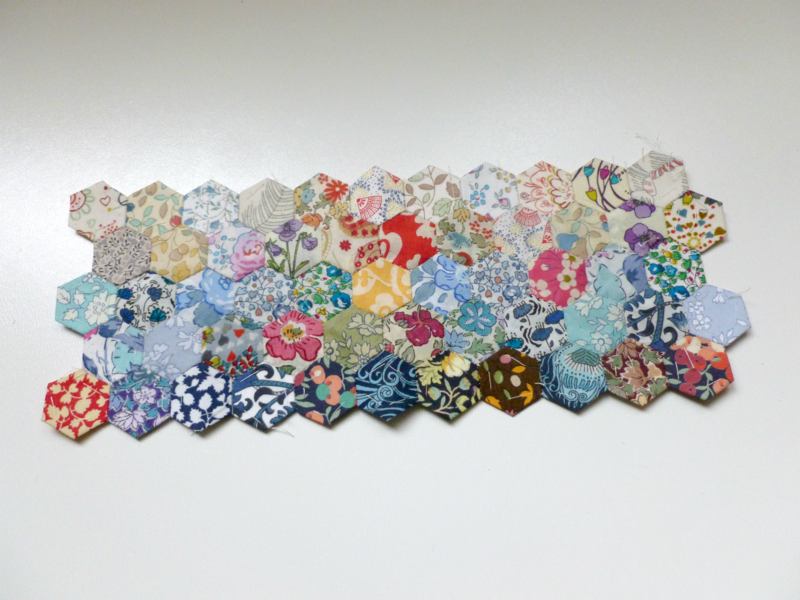 I love hexagon quilts and even more I love liberty fabric. I think you just may have inspired me! I'm a beginner sewer and your tutorial was inspiring! Thanks!! Thank you for the tutorial, Leila. 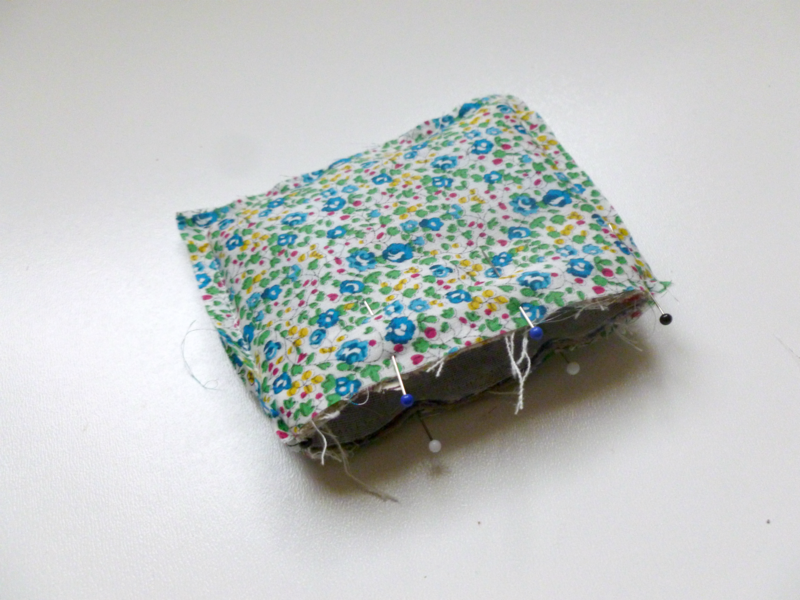 I made a few pouches as Christmas presents - they are so quick and easy to sew. Your version with hexagons is the best! Sew, sew cute! Thank you for the tutorial! Love it! That was so incredibly easy to follow! First read thru I was a little shaky, but gosh,thank you. Really good tutorial. I was a complete shmuck to my grannie who make a big quit out of these beauties. What restraint she had not to clobber me as I treated it so shabbily. The work! I can't wait to see it come together (waiting for the frame). Wow...This is what i have been looking for and you have done a great job. Beautiful ....!!! where are the hexie patterns? 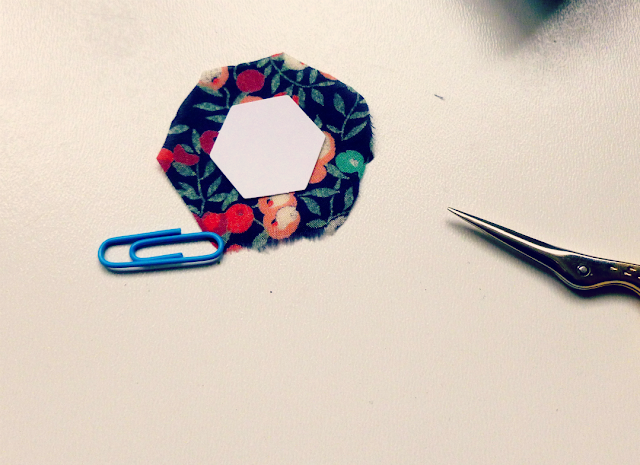 Paper piecing tips & new pattern coming soon! You are welcome to link back to my blog anytime. I do ask that you will not use any personal photo's of me or my child. If you feature my work on your blog or website please let me know so I can stop by and say hello! All rights reserved ©. Ethereal theme. Powered by Blogger.